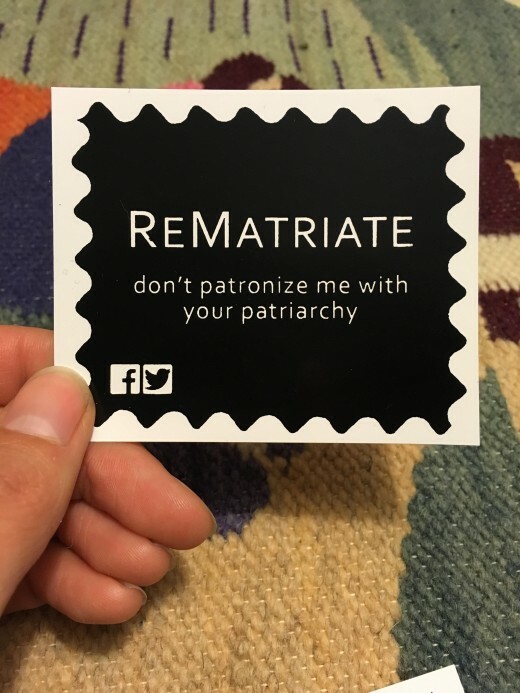 During this residency Jeneen Frei Njootli will be working within the ReMatriate collective to research Indigenous women’s activism while furthering the collective’s goals of community outreach via online avenues for advocacy and information-sharing. advocates for ethical representation of Indigenous womxn in media. Frei Njootli ’s research will culminate in a public event in the Grand Luxe Hall. Serving as the launch of Frei Njootli’s residency, this free workshop will focus on creating and updating Wikipedia entries for Indigenous women artists. Drop in with a laptop to participate. Food and beverage provided. Free onsite childcare. Jeneen Frei Njootli is a Gwich’in artist and a founding member of the ReMatriate collective currently based on unceded Coast Salish Territory in Vancouver. Frei Njootli’s practice concerns itself with Indigeneity-in-politics, community engagement and productive disruptions. She has worked as a performance artist, workshop facilitator, crime prevention youth coordinator and has exhibited across Canada.